Melissa Gillinov focuses her practice primarily in the area of commercial insurance coverage matters. She provides coverage opinions for insurer clients and litigates coverage disputes. A former law clerk, Ms. Gillinov has a vast amount of experience drafting memoranda, orders and opinions pertaining to insurance contracts, products liability issues, settlement agreements, employment discrimination, professional liability, probate matters, arbitration decisions, landlord tenant disputes, foreclosures and mortgages. 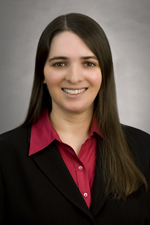 Ms. Gillinov joined Hinshaw & Culbertson LLP in April 2008. Previously she was for two years a law clerk to the Honorable W. Matthew Stevenson, Chief Judge of the Fourth District Court of Appeal in West Palm Beach, Florida. She was selected by Judge Stevenson to serve as the liaison to the Palm Beach County Bar Association’s Minority Internship Initiative. During law school, in 2002 Ms. Gillinov was a legal intern in the Civil Division, Office of Immigration Litigation of the U.S. Department of Justice in Washington, D.C. Also in 2002, she was a summer law intern in the Antitrust Division of the U.S. Department of Justice, as well as in the Civil Division, Federal Tort Claims Act Office. In 2001 Ms. Gillinov clerked for the Special Counsel in the U.S. Attorney’s Office in Washington, D.C. She was also a legal intern to the Honorable Linnea Johnson, Magistrate Judge of the U.S. District Court, Southern District of Florida, in West Palm Beach from 2004 to 2005. Prior to commencing her law studies, Ms. Gillinov was a legal assistant in the Litigation Division of Jones Day in New York. In addition to her other law school achievements, Ms. Gillinov was a member of the Moot Court Interschool Competition Team from 2001 to 2003; a participant in the Ruby R. Vale Corporate Moot Court Competition in 2003; a participant in the Gibbons Criminal Procedure Moot Court Competition in 2002; and a quarter-finalist in the Alvina Reckman Meyers Moot Court Competition in 2001.